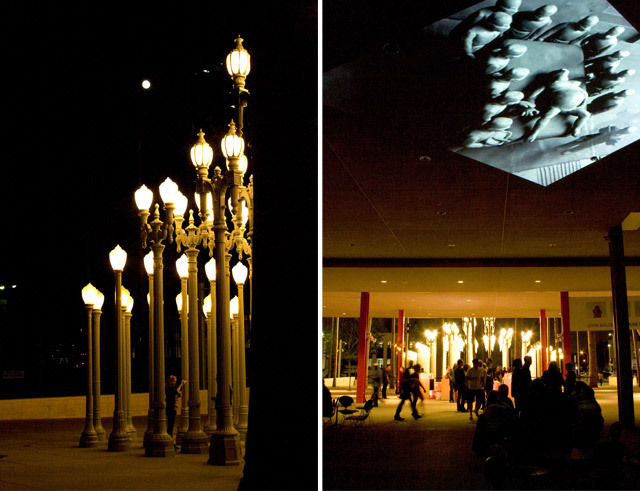 LA Freewaves, an LA-Based new media arts organization celebrated its 20th anniversary at the Lacma on June 26, 2010. 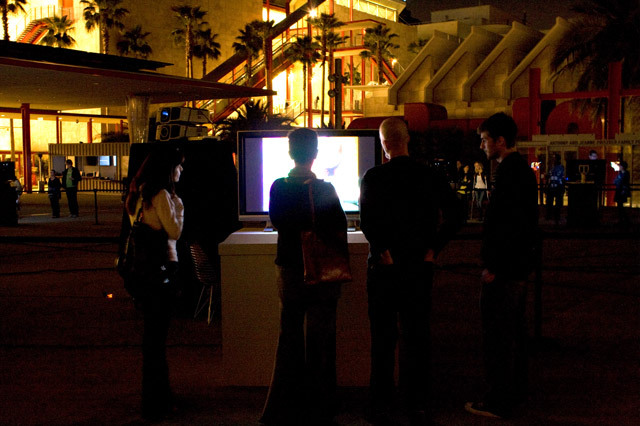 The arts festival featured over 20 artists’ videos that “move, amuse and bewilder”, produced over the past two decades. Lacma’s towering palm trees and Chris Burden’s “Urban Light” sculpture, and provided a nice ambiance to the late night arts festival. This entry was written by Camile Orillaneda and posted on June 29, 2010 at 11:14 am and filed under Awesome Artwork!, Awesome Installations!, Awesome Videos!. Bookmark the permalink. Follow any comments here with the RSS feed for this post. Post a comment or leave a trackback: Trackback URL.